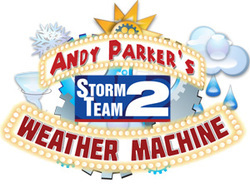 channel 2 - Wgrz - announces andy's weather machine. We won the Andy Parker Weather Machine. Than you for all your support and voting. 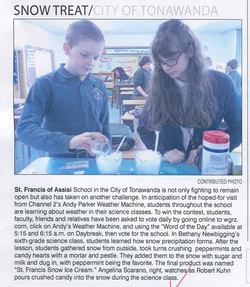 Here are some pictures of the Weather Machine presentation and a link to the Tonawanda News article. 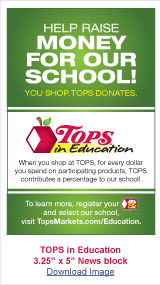 CLICK HERE to see the Tonawanda News article. This photo was in the Tonawanda News on Sunday. This counts us Extra Credit.